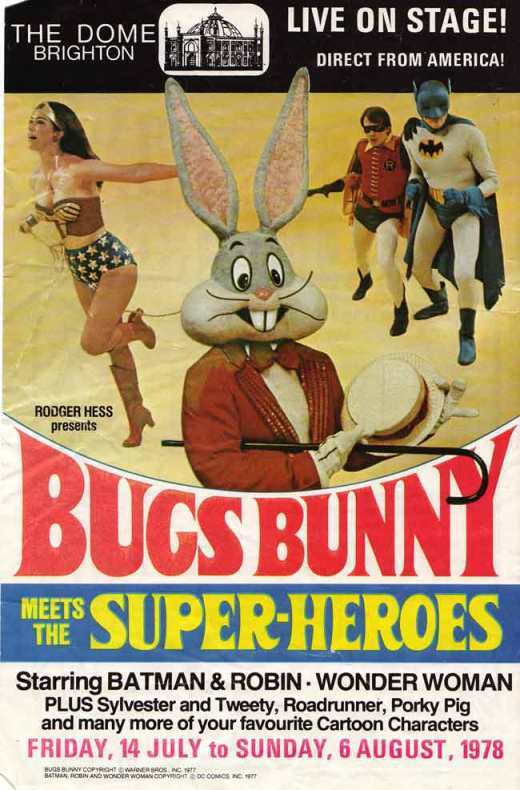 In the late 1970s, Rodger Hess produced a series of stage shows featuring live-action superheroes. This was one. 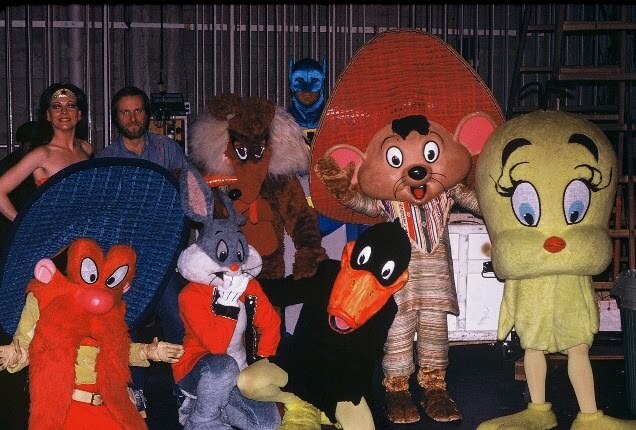 Welcome to the first-ever oral history of Bugs Bunny Meets the Superheroes. What a surprise. I had to look twice at the subject heading…I literally did a double take thinking, what the heck…someone must be kidding! I have the fondest memories of those days! 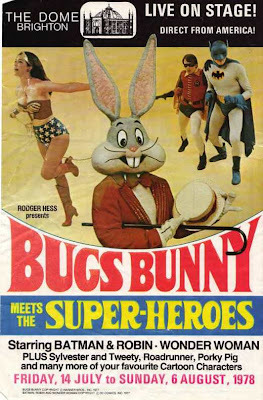 How did you get a job with Bugs Bunny Meets the Superheroes? Christine Gradl Seitz: It was my first NY audition. I went to this audition because I heard I could get my Equity Card doing this gig. Peter Kosta: I saw an advert in The Stage and auditioned and was offered the part. 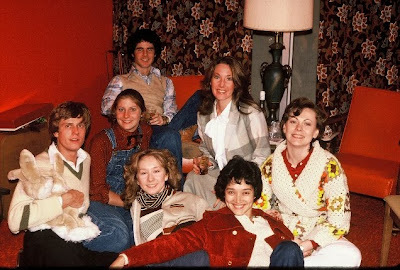 Steve Cochran: I auditioned in the summer of 1979 following my graduation from the American Academy of Dramatic Arts. I graduated from the Academy hoping and imagining my first job would be something major, like Shakespeare, Arthur Miller, Tennessee Williams. I remember halfway through the audition I knew I had a role. I called my mother and told her how disappointed I was. She asked “Does it pay? Do you get in Actor’s Equity? Do you travel?” [I said] “Yes to all of the above.” [So] I took the job and played Wile E. Coyote and the Joker in Bugs Bunny Meets the Superheroes touring the U.S. 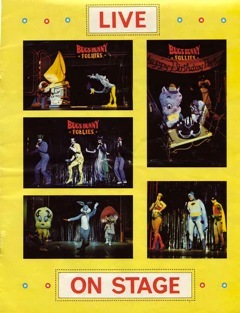 The following year I was Doc (the narrator) in The Bugs Bunny Follies, touring the U.S. and Canada. Then the Company Manager of the Venezuela tour of The Bugs Bunny Follies and the United Kingdom tour of Bugs Bunny in Outer Space. Uriel Menson: I saw an ad in Backstage for an additional audition, the first of which I couldn’t get to. I hadn’t planned on going to it, but on my way somewhere else, I had a little extra time, so I stopped in at Showcase Studios (I think that was the name of the rehearsal studio, it’s long gone) and signed up to audition for Robin. I had loved to watch the show on TV when I was a kid. When I got the sides and read them over, I couldn’t stop laughing at the lines I was about to say. Typical Robin lines like “Holy gee willikers.” I pulled it together, went in to read, and stifling my desire to laugh out loud, I got through the lines. Guess I did a pretty good job since a few days later I got the call that I was hired. What were you doing before BBMTS? 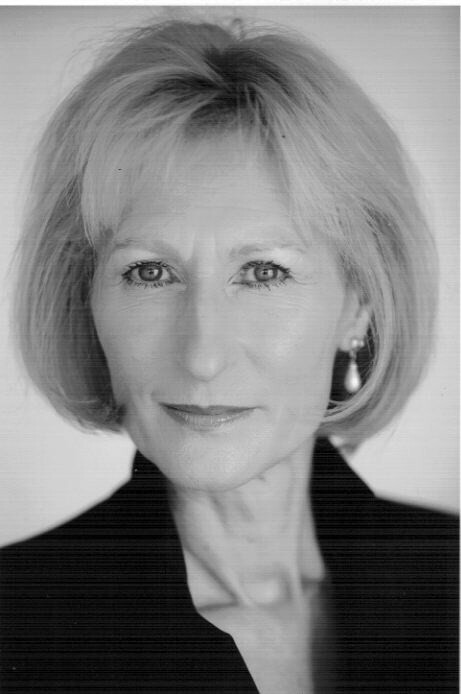 Cate Fowler: Working mainly in theatre and some TV. Christine Gradl Seitz: I had just left college to move from Ohio to New York. Frank Stancati: I had just gotten off a summer tour of Guys and Dolls. Peter Kosta: I was in a West End play. Steve Cochran: I performed in plays at Westwood High School in Westwood, New Jersey. Went to two years at the American Academy of Dramatic Arts and graduated in 1977. I worked, as practically every actor I knew did, as a waiter. I had a terrific waiter’s job in the heart of the Broadway theater district. Uriel Menson: I was Non-Equity going from audition to audition trying to get an acting job. How old were you during the show? Cate Fowler: In my early twenties. Christine Gradl Seitz: I had just turned 19. Uriel Menson: I was 26 when I started. Christine Gradl Seitz: Yosemite Sam and Catwoman (I think?). Frank Stancati: The Penguin and Daffy Duck. Peter Kosta: Sylvester the Cat and Robin. Uriel Menson: Robin and Sylvester the Cat. How much did you know about those character(s) before your role in BBMTS? Cate Fowler: Not that much really, although I knew who they were, of course! Christine Gradl Seitz: Well, I grew up with these cartoons so I suppose I was fairly familiar with the characters. Frank Stancati: A lot. I used to watch the Batman TV program as well as read the comics. Used to watch Bugs cartoons as a kid. Which other characters were in the show? Christine Gradl Seitz: I remember Foghorn Leghorn, Batman and Robin, the Joker, and Speedy Gonzales. 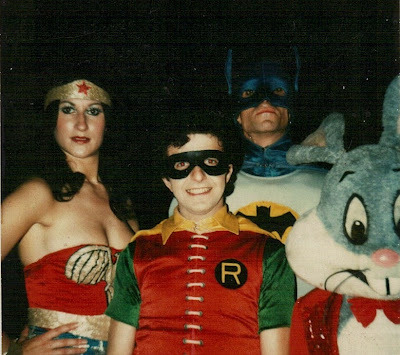 Frank Stancati: Batman, Robin, Catwoman, Riddler, Porky Pig, Road Runner, Speedy [Gonzales], Tweety, Sylvester. Peter Kosta: Bugs Bunny, Porky Pig, Yosemite Sam, Road Runner, Coyote Bill?, Wonder Woman, Tweety Bird, Joker, Penguin. Uriel Menson: Other characters in the show were Batman, Riddler, Catwoman, Penguin, Commissioner Gordon, Bugs Bunny, Porky Pig, Wiley Coyote, Foghorn Leghorn, Yosemite Sam, Tweety Bird, and Speedy Gonzales. That’s all I can remember right now. How much rehearsal did you do before the show opened? Christine Gradl Seitz: I think we rehearsed for two weeks in beautiful Lake George, NY. Where did you perform with BBMTS? Cate Fowler: London and a UK tour. Christine Gradl Seitz: We toured small towns in the Midwest—beats me where? But I remember performing in large arenas or coliseums. Frank Stancati: It was an eight-month tour all over the country. Peter Kosta: Brighton and Wembley [in the UK]. Uriel Menson: The first year (1979-1980) we performed mostly in the Eastern U.S., all up and down. 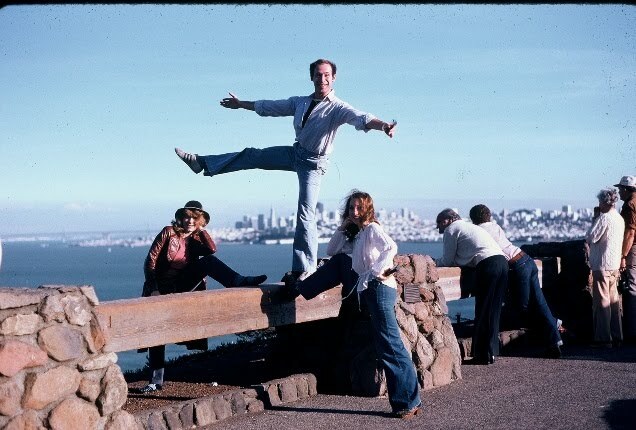 The second half of the second year (1980-1981) we performed primarily in the Western U.S. Photos courtesy of Uriel Menson. For how long did you perform with BBMTS? Cate Fowler: Three summer engagements. Christine Gradl Seitz: I stayed with the tour for six months. Peter Kosta: A summer season. Steve Cochran: Superheroes, one year. Follies, nine months. Space, three or four months. Uriel Menson: I was on the road with the group for a tour-and-a-half, from 9/79 to 6/80, and then again from 1/81 to 6/81. How did the show work—i.e. how many shows a day, how many days a week? Christine Gradl Seitz: I remember doing two-show days on weekends and I remember traveling by van from city to city. But I couldn’t tell you how many shows we did per week. I’m guessing sometimes six and sometimes eight? Frank Stancati: Varied on our schedule. Sometimes up to three shows a day. Usually at least eight a week. Steve Cochran: Often it was one show a day, sometimes twice a day, and at most three times a day. We did maybe ten shows a week. I do remember everyone being excited to play in Madison Square Garden’s Felt Forum for ten days straight and having two or three shows a day with very limited time off. No one got to enjoy being home as we were so exhausted. Uriel Menson: The schedule varied. It depended on how far we had to travel to each location and how many shows were booked. I think we played a maximum of three shows in any one day. We had days that were dedicated only to travel and an occasional day off. Sometimes we would arrive in a town in the afternoon after traveling all morning, set up, and do a show. Then sometimes we had to start to travel to the next town after finishing a show. What was the show’s storyline? Cate Fowler: Superhero, space, and sports shows. Christine Gradl Seitz: I have no idea. I’m not sure there really was one...was there? Frank Stancati: Porky’s birthday and [villains show up] trying to spoil it! Steve Cochran: It was a surprise party for Porky Pig, and the villains, Joker, Riddler, Catwoman and Penquin wanted to celebrate “The Good Old, Bad Old Days” (the song they sung) by ruining Porky’s birthday. Batman and Robin save the day and Porky gets to have his party. Was there music? If so, is there a list of the songs or even recordings of them anywhere? Christine Gradl Seitz: One of [my songs] was “Anything You Can Do.” I still remember some of the choreography. However, I pray there is no recording of this out there…? Frank Stancati: The villains had a song called “Bad Old Days,” which we sung live. Not aware of any recordings. Peter Kosta: Yes, all on a click track. No commercial recordings that I know of. Steve Cochran: It was a musical and the only numbers I recall were the opening which was the Looney Tunes theme song “This Is It” and the villains’ first act number [already mentioned]. What was a typical audience reaction? Cate Fowler: Very enthusiastic (and noisy!). Christine Gradl Seitz: I remember the kids in the audience laughing. But then there was this showgirl number…I suppose that was thrown in to appeal to the parents. That was always odd to me—and it seemed the audience was also baffled by it. Frank Stancati: Audiences loved it! Madison Square Garden was a hoot. All my family came and even they loved it. At times it felt like we were rock stars! Steve Cochran: Joy when the kids saw each of the characters. At the curtain call, they would swarm the foot of the stage. Any notable goofs or accidents that happened during a performance? Cate Fowler: Only when the stage manager was overly generous with the flash powder! Christine Gradl Seitz: I recall having trouble now and then getting off the floor with that big Yosemite Sam headpiece on. Foghorn Leghorn would usually help me up! Frank Stancati: Of course! Injuries did occur. I do remember one funny episode when Porky fell on stage and couldn’t get up. There was no “human” on stage at the time and most of the characters had no hands. They kind of rolled her into the wings. Steve Cochran: Sure, lots. Wile E. Coyote’s trap for the Road Runner didn’t work once. My Coyote costume froze solid in Richmond, Virginia, when the temperature dropped below freezing one night. Jumped out of my Coyote feet. Had to roll Porky Pig off stage when she fell over and her costume wouldn’t allow her to stand up. Uriel Menson: Over the course of a year and a half, you can believe there were antics, goofs, and spills both onstage and off. Did you meet with fans afterward while in costume? If so, did you sign autographs? Cate Fowler: Yes, pretty well after every show. I must have signed thousands of autographs. Frank Stancati: No, the villains were never asked to do that. Sometimes we’d do local TV shows as ourselves. Peter Kosta: No, but signed autographs at the stage door as ourselves. Steve Cochran: We went to a school for the deaf and blind in Pittsburgh and were blown away as the children touched us to identify who we were. Occasionally, I did appearances as the Joker in Kings Dominion amusement park in Virginia and in a TV commercial in Buffalo with stunt car drivers. Uriel Menson: It was a very rare occurrence when we would go out after a show to meet the audience, with the exception of one of our actors who played Batman. He enjoyed going out to meet the kids after a show, whether we were supposed to or not. I don’t remember any specific rules about it one way or the other. Most of us just wanted to get out of our hot costumes and get out of the venue. Those of us who could sign autographs on those few occasions where we did meet people, signed. Some characters had no hands to do it. Did the show lead to other work for you? Cate Fowler: Have continued working in the business, mainly TV and film, but never again as a superhero! Do you still have a copy of the script? Peter Kosta: No, all scripts were handed back. What are you doing these days (professionally and personally)? Cate Fowler: Working as an actress and presenter in London. 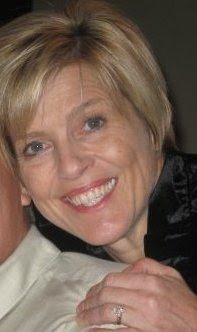 Christine Gradl Seitz: I am the artistic and executive director for a semi-professional theatre in Duluth, Minnesota. While we are known as a community-based theatre, we pay actors a small honorarium, but not weekly salaries, though we hire Equity actors now and then. We pay all staff and creative positions. So we consider ourselves as a semi-professional theatre. Frank Stancati: After 30 years in the business as an actor and having a great career, I decided I needed a change. I am now a business representative for Actors’ Equity Association. Peter Kosta: I am directing and producing as well as doing the odd acting role. I have helped start up an “Off-Off-Broadway”-style theater. 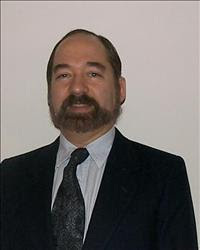 Steve Cochran: I work as Associate Marketing Director for TheatreworksUSA, a company producing theatre for young audiences across the United States and Canada. Uriel Menson: I am going to as many auditions as I can for my next project, whatever that might be, and doing all sorts of odd jobs to keep the money coming in. If you have children and/or grandchildren, what do they think about your time as a superhero? Has anyone else ever interviewed you about your time with BBMTS? Cate Fowler: No, although I did a lot of TV and radio interviews at the time. Christine Gradl Seitz: No. And it is so fun to think back to those days—thanks for sparking my memories. Frank Stancati: I have never been interviewed before. Are you still in touch with anyone you performed with on BBMTS? Christine Gradl Seitz: Not anymore. Living in Duluth has taken me far from those that I used to bump into on the streets of New York. Peter Kosta: Yes, Genevieve (Genie) Davies, who played Porky Pig. Steve Cochran: In the past year, I’ve touched base with a few of them. Some have passed away and still others I have no idea what happened to them. Uriel Menson: On occasion I still see Steve Cochran and very rarely Rodger Hess and Genevieve Davis. W.W. Smith, who played one of our Batmen, is gone now. Do you by chance have contact info (or ANY info) for other superhero/villain performers from the show? 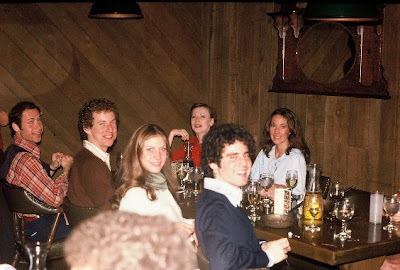 Names I’ve been told: Bonnie Young, Joni Massella, Joe Duquesne, Doug Boyes, Bill Covington, Joe Douquette, Robert Kellett, Charmian Clark, Jimmy May, Robert Weber, Lori Lynott...? Cate Fowler: I have contacted Phil Compton who played Batman one year, and am waiting to hear back. What is your fondest memory of the show? Cate Fowler: The enduring friendships I made. So many of us are still in touch. I have visited the U.S. and only [in 2009] met up again in London with our two American dance captains. Christine Gradl Seitz: Rehearsals. Lake George was like a vacation before the job. I have fond memories of traveling at times, however the van took its toll and sometimes we were crabby with each other. But all in all, we had a good group. Frank Stancati: I had a great time on the tour. Of course, at times there were things to complain about. Sometimes the travel was long, but on the whole the cast was fun. We all got along for the most part and made lots of kids happy. Steve Cochran: The sound of the kids as the show opened and the characters marched on stage. There is nothing like it when the lights dim and the kids yell in excitement. Uriel Menson: My fondest memory of the show was my relationships and camaraderie with my fellow actors. We faced many adversities during the run of the show, but we stuck together and got through them. I most fondly remember my fellow actor Jim Morlock who played Riddler and Speedy Gonzales. Unfortunately, he passed in the early stages of the AIDS epidemic, but he is well-remembered. We got to be good friends and I still miss him. Next: The Plastic Man Comedy Adventure Show. Posted 5:36 AM Labels pop culture nostalgia, series: Super '70s and '80s, superheroes, where are they now? I can't thank you enough for this post! FINALLY someone else who remembers this! I saw a version of this in Greenville, SC in 1977 (I ran across the ticket stub a while back). I wish I could say I had some wonderful memory of it but I just remember going. My pleasure, RWNeal! I actually did NOT remember it from my youth...I stumbled across it online (a message board but nowhere else). I saw this show at age 4. I remember snippets of it. I wanted to go just to meet Batman and Robin. I went in a homemade hand stitched Robin costume. It was at night and I can remember the walk to the theatre in Peoria, IL. My dad bought me a Daffy Duck plastic figure that was probably 6 in tall. I have pictures from it. Glad to see an article on it. It was a great memory. Anonymous - please email me the pictures! I can add some here! Hi Guys-- I just happened to stumble across this over the weekend and very much enjoyed sharing your respective memories. 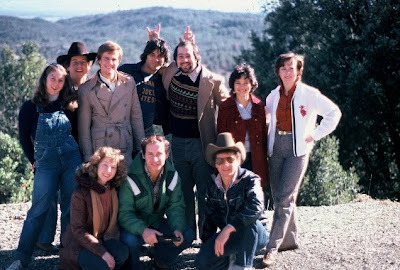 I was brought on-board as a marketing consultant by MSG and Larry Sadoff to create and execute some of the marketing for the Bugs-related tours. I just forwarded this page to Exec Producer Rodger Hess so that he could enjoy it too. 30+ years later, I'm still marketing Bugs and Bats for WB and DC. Tanks for the Memories, Doc! Thanks Ken! 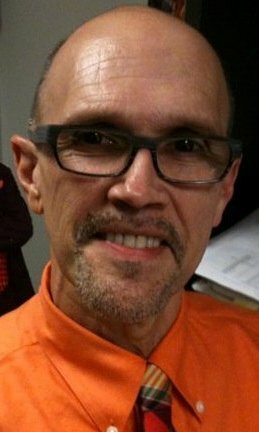 This is Marc, who compiled this post; the people IN it won't see your comment unless they come back here. Is there anyone in particular you'd like to reconnect with? If so please email me. And what exactly do you market for DC?